Step 1. Glue buttons or pom poms around the cardboard ring. Step 2. 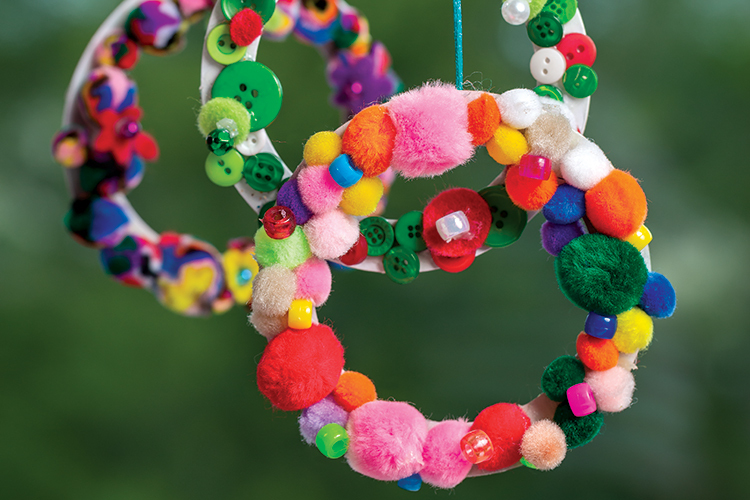 Decorate by gluing beads and felt on top of the buttons or pom poms. Step 3. Cut a small length of friendship cord to create a loop to hang the wreath. Glue into place and display.